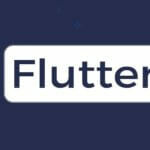 One of the new addition into the arsenal for the app developers is Flutter. Basically, Flutter is a UI framework used to build beautiful, interactive and fluxional cross-platform native apps on Android and iOS using Google’s Dart programming language. As Google has constantly worked on improving the performance and stability of the framework, Google has announced very first feature updated of Flutter known as Flutter 1.2 along with a new web-based suite of programming tools called as Dart DevTools with the purpose of analyzing and debugging apps. The aim and focus area for launching Flutter 1.2 is to improve Performance, Stability, and Quality of the core framework. 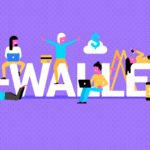 Responding to several highly demanded customer features like app bundles and in-app payments. Polishing work on the visual finish and functionality of existing widgets. Also to develop best Flutter applications adding new web-based tooling for developers. 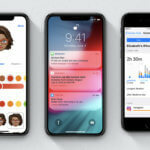 With Flutter Version 1.2 updates the Cupertino widget tent to be set with improvements towards achieving constancy on iOS and Material widget to support more formable usage. Flutter version 1.2 has a larger set of animation assistance functions with support for new mouse hover and keyboard events which are being made information for the desktop-class operating system in the near future. This Version 1.2 includes an update for in-app purchases, for android app bundles, Dart 2.2 SDK that improves the performance for compiled code with its language support for declaring sets. Also bug fixings for maps, webview, and video player. With Flutter version 1.2 Google has introduced a new web-based suite of programming tool known as Dart Dev Tool; that can help Flutter developers to analyze and debug their build apps. This tool includes tooling for inspecting and debugging Flutter and Dart both applications. This tool is available for installation together with Flutter’s extensions and add-ins for Android studio and Visual studio code. A full source-level debugger that let the developer steps through the code, set breakpoints and explore the call stack. The tree hierarchy used by Flutter for reproduction, this tool provide widget inspector that enable exploration and visualization for that. Timeline view which helps to determine application at a frame-by-frame level which indirectly helps to identify the computational and reproduction work that can lead to animation ‘jank’ to the apps. A Logging View: By this view can see all the activity log of an application as well as the framework, garbage collection event, and network. With these features, the main aim is on the growth of Flutter beyond mobile platforms. A hummingbird that brings Flutter on the web – a technical preview of this could be released by the near future. These Fundamental contains performance improvements with new UI widgets and also some bug fixing as usual. These are what all the Flutter developers must want as it making easy for the Flutter users to do the things they need quickly. As we have discussed above it’s nothing but an experiment – The Hummingbird project that can bring all the Flutter feature on the Web. The Dart Platform that is also known as hot-deployment that provide the ability to push or update the code without having to re-deploy apps. Our Flutter development team that influences business objectives on the most common and robust platforms with the integration of innovative services using dynamic interfaces. 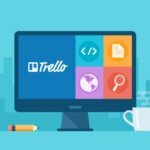 Using the latest technologies, Our expert team of developers ensures to provide a smooth application and improving business. 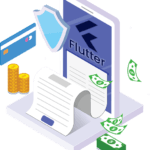 To Take-away skilled business services on robust platforms hire our flutter app developers today. With our in-demand team of flutter developer that helps you to visualize quality custom solutions. Our dedicated team of Flutter developers also helps you to create an exceptionally personalized user-experience for your business. Our developers can build mobile applications as per Conceptualized with the current market and client demands. If you require a customized application that can meet up all your requirement list than just hire flutter developer from us to achieve it. We can provide reliable flutter application development services. With our flutter developers who all are experts and well trained with flutter app development that can deliver innovative and best in class apps or results. Hire dedicated flutter developers on a full-time basis, Part-time basis and hourly from us to develop your Android and iOS app faster. We can work with Flutter app projects on-time to large, medium, small or customized business that belongs from a huge range of industry verticals. The Flutter app developers we have in our team are all highly experienced and passionate to deliver engaging and beautiful applications for both iOS and Android for your business as per your terms. As we strongly believe in teamwork so that we can contribute towards the code quality, enthusiasm, etc. If a responsive cross-platform app is in your mind then why to wait, Simply hire dedicated Flutter app developers from us Today…!! !